Abida Parveen dropped out of school at the age of 6 to help her mother around the house. Her younger sister followed suit. But Abida spent her free time at the Community Resource Center, established by Sarathi’s Saloni project. The CRC provided a place for Abida to learn and interact with a large group of girls who shared her desire to attend school and receive a real education. Community volunteers at the center worked with Abida’s counselor to meet with her parents and discuss educational opportunities. At first, Abida’s mother responded with discouraging pushback. But the counselor did not let up. Before long, Abida’s mother found a job. This meant that her two daughters could attend school. The community volunteers worked with the local school to secure the two sisters’ enrollment as quickly as possible. Today, Abida and Ikara attend school regularly and continue to dream about the opportunities that their education will provide to them. The Sarathi Development Foundation aims to empower children, adolescent girls, women, and communities by placing them in the driver’s seat of the development process. Beginning as a technical resource organization, we grew to focus on supporting and facilitating a process for our constituents to command the development process on their own by integrating the wisdom and resources of the children, adolescent girls, and women that we serve. We have a five-part model integrating feedback through the entire process, from planning to implementation. This has provided us with a strong professional base to scale and build partnerships with global networks and individual donors who help us to further our feedback practice. A new Sarathi project begins with the community. Over the course of five days, we utilize participatory methodology for the affected villagers to identify their needs, plan action steps, and build linkages to government services. We then ask the community to prioritize areas of intervention – education, health, nutrition, water, sanitation, child protection, or gender discrimination. It is the community members themselves who create an action plan. Sarathi assists by asking: Are children immunised? Do the hand pumps work? What are school dropout rates? Then, together, they take action by providing feedback to service providers, raising the demand for services, and changing communication behaviors. After putting community in the center, the community volunteers take charge. As seen in the example above, our volunteers organise meetings and collect feedback. They engage village government officials, school teachers, and health workers. Finally, success metrics and a timeline are set to complete the plan, get the government to take action, and close the feedback loop. They collect the feedback face to face from beneficiaries, host monthly meetings, and review community action plans. They visit with frontline functionaries and provide feedback to middle and senior level government authorities. Sarathi has developed more than 10,000 community volunteers as catalysts for change. Adolescent girls and women representing different social groups are selected by the community based on their willingness, relationships within the community, and how much they are trusted. Sarathi selects volunteers right at the start of the project and establishes their role in community facilitation, collection and escalation of feedback, and cooperation with government service providers.The idea of community volunteers is rooted in age old traditions of youth coming together to celebrate local festivals or national events. They do this without any expectations of “returns,” other than the personal satisfaction of the work they do for their communities and the recognition that they receive from their government and broader community. As a result, we have seen volunteers’ confidence, mobility, quality of life, and access to opportunities improve. Some of the community volunteers have been recruited by the NGOs as researchers, counsellors, teachers, and trainers. Feedback leads to more effective and efficient implementation of high quality programmes that actually address community needs. Sarathi integrates community strengths and resources with government schemes and services. 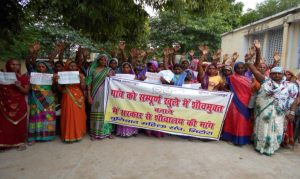 By creating the space for a constructive feedback system – mutual support, cooperation, and interdependence – communities have come together with their local governance institutions and non government organisations.In March 2016, Sarathi exercised their mission in Bhitari village in the Fatehpur district of India. Sarathi Volunteers addressed the conditions of the village schools. And so, they turned to the students for advice. School children identified issues with water access, sanitation and hygiene, and midday meal facilities. The volunteers engaged teachers, school management, and the head of the village in search of solutions. A year later, tangible improvements have been made. The quality of midday meals has increased, soap is available to all school children, and the toilet facilities are cleaned regularly. Students have seen their voiced concerns turned into action, and they have continued to frequently address other problems they encounter. This means that the whole community benefits. Community based monitoring of these public services at the local school has increased mutual trust between the people and their government. And the government benefits by being able to communicate directly with beneficiaries. As in the Bhitari examples, Sarathi’s community focused approach benefits all: citizens, government, and their own organisational effectiveness. By showing children that they are capable of making changes, Sarathi opened a door of possibilities for the village as a whole and enhanced credibility in eyes of community, government and our donors. Feedback systems are in the interest of everyone associated with Sarathi’s work. An integral part of community based models, feedback helps to upstream community voices and integrate government actions that facilitate long lasting impact. 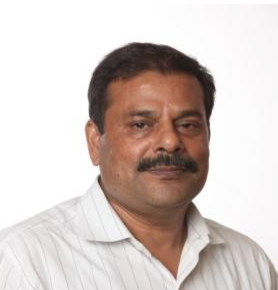 Akhilesh Tewari, Director of Sarathi Development Foundation carries a Master’s Degree in sociology and 27 years experience as grassroots level facilitator, social scientist, entrepreneur, Advisor to Government, and consultant with national and international NGOs. He played a lead role in establishing and scaling Sarathi Development Foundation as a grassroots implementation and technical resource support organization. He brings a range of skills, abilities, strategies and approaches including road map & strategic planning for impact driven models, fundraising and partnership management, convergence & networking, monitoring, evaluation, resource mobilization, capacity building, team building, donor relation management, management systems. He received high value training in areas of resource mobilization, fundraising, organizational development, model scaling, leadership, grant management systems from national and international organizations. Sarathi brings more than 18 years experience in supporting and facilitating children, adolescent girls, women and community in such a way that they are able to integrate their potential, wisdom and resources to command development process on their own while leveraging government systems and programmes aimed at delivering public services. Since 1998, Sarathi has been designing and implementing programs across Uttar Pradesh and other states to enable and empower communities to deliver social change. Community based and convergence driven models have provided Sarathi with multi-sectoral experience, across rural and urban communities. Sarathi works in partnership with a wide range of organisations including government, UNICEF, CRS, Water Aid, Family Health International, Dasra, Global Giving, GirlNotBrides, Corporate organisations and Universities.